A prominent Kiwi priest and legal academic has been dismissed from his post as a professor at the Department of Law and Criminology at Aberystwyth University in Wales, following allegations of financial “irregularities”. Professor Noel Cox, a former professor at AUT’s law school in Auckland, formally stepped down in November last year, according to the Welsh university’s website. An email was subsequently sent out to students, informing them that a Professor John Williams would be stepping-in temporarily. The email said that Professor Cox would continue to work at the department “to concentrate on other aspects of his work”. However, the university has confirmed that he was formally dismissed last month. Following his dismissal, Cox’s church has also asked him to stop taking services. 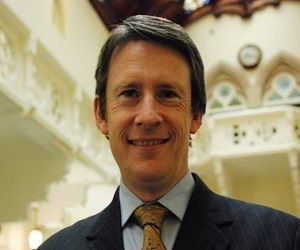 According to APN reports, an independent disciplinary panel met to consider “a variety of allegations against Professor Cox” and subsequently found that he had “committed serious breaches” of financial regulations and procedures, data protection requirements and the university's duty of care towards a member of staff. "Given the evidence presented, the seriousness of these findings and all the circumstances of the case, the university has accepted the panel's clear recommendation to terminate Professor Cox's employment." However, Cox vehemently denies the allegations. He has the right of appeal and it is believed he will do so. Cox holds a Master of Law and Doctor of Philosophy. He also has a Master of Arts in ecclesiastical law from the Archbishop of Canterbury's Examination in Theology and a Licence in Theology from the University of Wales. He trained as a lawyer in the 1990s before becoming a law professor at AUT. In 2009, Cox was ordained in the Diocesan Training Programme at Holy Trinity Cathedral in Parnell. He was also once chairman of the Monarchist League of New Zealand.